Web Design Leamington Spa : Public Marketing Communications : Pay-Per-Click advertising - is it for me? 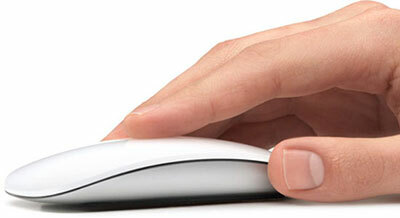 Pay-Per-Click advertising - is it for me? Pay-per-click is a method of internet marketing whereby advertisers pay a fee each time one of their adverts is clicked. It’s a way of “buying” visits to your site, rather than earning those visits organically. You basically bid for advert placement on a search engine results page. The most widely-used search engine is Google, and the most widely-used method of pay-per-click advertising is Google AdWords. Every time your advert is clicked and a visitor is sent to your website, you pay Google a fee. There's no minimum buy – AdWords allows you spend whatever amount you want, with no minimum. You can run or test a campaign for as little as £25 - £50 a month. Easy and fast creation – Once you set up an account, you can begin to create ads straight away. Your ad goes lives almost immediately – Ads can start to appear within 20 minutes of having set it up. Pay only for clicks – When a user views your ad, you pay nothing. Don't worry about your competition clicking away on your ad - Google's system protects against multiple clicks from the same user. Bid system placement – How much does a click cost? That depends on what you're willing to bid and key phrase popularity. If you list a specific phrase like "summer wedding outfit Leamington Spa," you won't have to bid very much. A popular phrase like "wedding outfit" however could cost a fortune. You can set a maximum cost per day – You can cap your campaign spending at a predefined amount per day. If you get a lot of activity, you can tell Google not to display your ad after a certain amount has been spent. Once this threshold has been reached, your ad will not display until the following day. It's manageable – If you want to make adjustments, you can edit your ad at any time. You can also pause or stop a campaign at any time. Interested in running a campaign? Check out one of our other blog posts to find out how you set it all up.